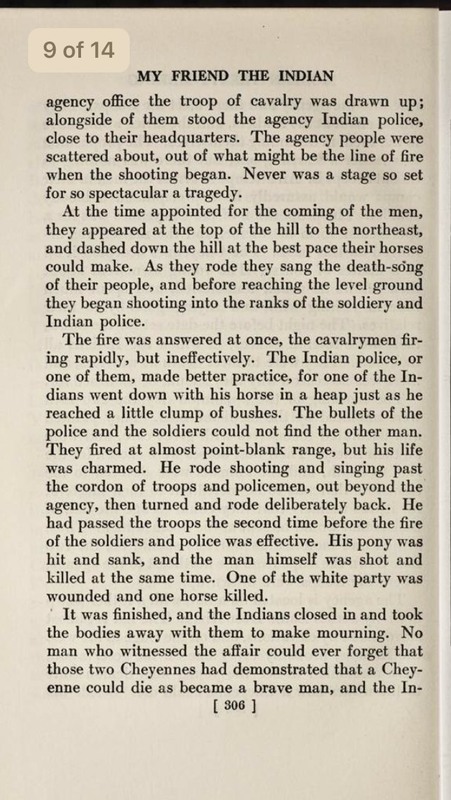 According to his account, the particular Sundance he attended took place on a plain near a fork in the Chadron creek in Nebraska and the estimated attendance was at least 15,000 people who reported traveling varying distances in caravans.2 The Sundance was certainly a significant ritual for the members of the Sioux tribe. The content that stuck out most to me pertains to the sounds of the Sundance. Schwatka’s language allows the reader’s imagination to recreate the scene: “they jumped up and down in measured leaps to the monotonous beating of the tom-toms and the accompanying yi-yi-yi-yis of the assembled throng.”5 Later he depicts the horror of the self-torture being dramatized by the persistence of “the beating of the tom-toms and the wild, weird chanting of the singers.”6 Notably, these descriptions carry a tone of distaste. He considers the drumming as beating rather than playing and the singing as weird and wild. But then again, it is possible that the drumming was meant to be rough and the singing to be unusual. Our Western perspective expects the music to have some form of inherent beauty to it, but it is possible this music serves a different purpose. What good does such a description do? Well, first of all, this descriptive telling of a famous ritual, no matter how biased, paints a picture in our head. Whether or not the images are accurate or representative of the actual happenings, we cannot know. However, we can glean from this a better knowledge of perspective. We can better understand how whites perceived Native Americans in the late 1800s and how this perception influences the way we know and understand Native American music today. This article’s focus is not on music, but we can profit from understanding the culture and the context behind the music. By approaching such writings with caution and awareness, we can still gain a sense of a cultural artifact. 1 Rodger, Liam and Bakewell, Joan, “Schwatka, Frederick,” Chambers Biographical Dictionary, July 2011. 2 Schwatka, Frederick, “The Sun-Dance of the Sioux,” Century Illustrated Magazine (1881-1906), Mar 1890, 754. During my search through the American West archive, I found a scan of a rare book which exhibits early features of ethnographic analysis and contribution to literature. This book, written by a white man, is an interesting and complicated portrayal of events that occurred in the tribes he lived with. However, I think that despite its problematic and complicated nature, this mostly first-hand account of events can shed light on important aspects of certain tribe’s cultures. Specifically, I will analyze his account of two chiefs singing a “death-song” before entering into a battle in which they knew they would die. 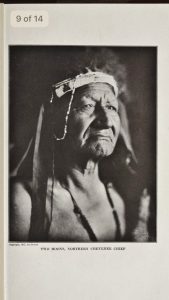 In 1910, James McLaughlin, who had been living among the Native American Tribes for 38 years, wrote of his experiences with the native peoples. His book, My Friend the Indian, is an ethnographic account of his time spent with the Native American tribes from “Standing Rock, North Dakota to Round Valley, California.” In the preface to his book, he notes that he tries to give the Indian account for events that transpired during his time with the native people. He explicitly notes that he hopes that his account does not come across as a white account, but as a native account. So, how trustworthy can they be? I believe this account is fairly trustworthy, for a couple of reasons. In contrast to the people who wrote their first impressions of limited encounters with Native Americans in the 1600’s, McLaughlin shows finesse and respect for the culture of the people. While some people in the late 19th century began a new movement of acknowledging the native presence in the US, much of this does so with a “vanishing culture” hermeneutical lense. McLaughlin writes with almost the opposite of the “vanishing Indian” idea – he wants to preserve the culture it in its true form and acknowledges that the culture is still alive, still a contributing, oppositional force, rather than a passive, nostalgic issue of the past, as mentioned in Blim’s article.1 Additionally, he does not shy away from calling out the problematic people who have decided to ignore the way that their colonizing culture snuffed out many people of a culture that was just as valuable. Specifically, he recalls how, at one point when a Cheyenne tribe was surrounded and the chiefs asked to surrender, that the Chiefs sang their “death-song” and showed white men how natives could die honorably. The reverence with which he regards the song and actions of the Chiefs shows his respect. Additionally, his writing about the death of these two men kept their stories alive. It kept them in the minds of all who heard of them, and let people know that though these Chiefs were gone, the practices of their culture, like the death-song, lived on. Importantly, McLaughlin notes how the chiefs sang while they fought a battle they knew they would lose. The singing here is not a passive part of the culture and history of the Cheyenne people. It is an active part of the fight which parallels the fight of the Native American people. In the “vanishing Indian” idea, the “native american problem” is finished and dealt with, and so the native people will all assimilate or die out. However, this use of music in an active fight against white men shows that even when the tribe knew they were outnumbered, they would fight till the end. Similarly, the Native American people written off by the vanishing Indian theory were not in fact slowly fading as an ember. They were energetically and vigorously fighting until the end, like a firework. So, McLaughlin gives a fairly credible voice to people who were ignored. However, we also must remember that “determining who speaks for a culture and how much consensus is required to define a culture is only one of several problems of theory and method faced by an ethnographer of music.” (Nettl).2 While I do not think that McLaughlin’s account should be taken as the be all end all interpretation of the Cheyenne tribe he spoke of, I do think he genuinely wanted to use his privilege as a white author to lift up the stories of those who were marginalized. While this can be problematic, the sincerity and intention behind his retelling (especially in light of his place in history) gives his account more positive attributes than negative. Importantly, he also set out with extreme humility and intent to tell these stories from the perspective of the native people. After living among them for almost 40 years, I think that his telling of their history comes from a place of utmost respect. His caveats at the beginning of his book – which warn the reader that he does not know everything, and that his own place is problematic – almost anticipate the criticism which we might apply to his work today. 1 Daniel Blim, “MacDowell’s Vanishing Indians,” paper delivered at the annual meeting of the American Musicological Society, Vancouver, BC, November 4, 2016. Frederic Remington was an American artist and writer. He specialized in interpreting the American West through various art forms such as drawings, paintings, sculptures, writings, etc. 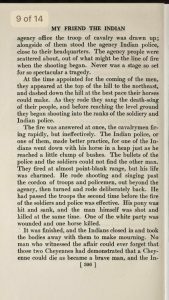 In his pamphlet “Drawings,” published in 1897, Remington depicts many scenes in American history ranging from portraits of Native peoples, to landscapes, to war scenes. Remington’s work contributed largely to what most people might think of as the “American West.” When I think of “the West,” I think of cowboys, saloons, Native Americans and the vast deserted landscapes waiting to be claimed! Remington’s art portrays the drama, action and contrast between peoples of the west. Remington’s work is important for many reasons. The first is their cultural significance. As mentioned before, many of his works shaped the popular image of the west. Because his art is so influential, many different interpretations can lead to harmful attitudes and opinions. Being an influential artist is not inherently harmful, however it can be if we are unaware of the biases or implications their work exhibits. What is most interesting is this drawing, The Missionary and the Medicine Man. One interesting aspect of this drawing is the application of technique. In the sketch, the missionary is standing, while the medicine man is on all fours and on the ground. The contrast of their positions and height suggests a social hierarchy. It implies that the medicine man is less sophisticated than the missionary. The Natives Americans in the background are poorly lit and on the ground while the missionary is well lit with a light source from above. This indicates that he might have divine qualities, or is blessed by the divine. Through the application of visual art techniques such as form and value, this is an example that perpetuates the stereotypical image of the unrefined societies of the Native Americans. Remington’s portrayal of both peoples represents the perceptions of the European explorers and other settlers. In this specific instance, Remington’s illustrations are problematic. This drawing portrays the Native American culture and inferior and unsophisticated. This is a strong bias that has influenced many other’s thoughts. What we cannot infer from his drawing is the cultural significance of a medicine man in many Native American tribes. 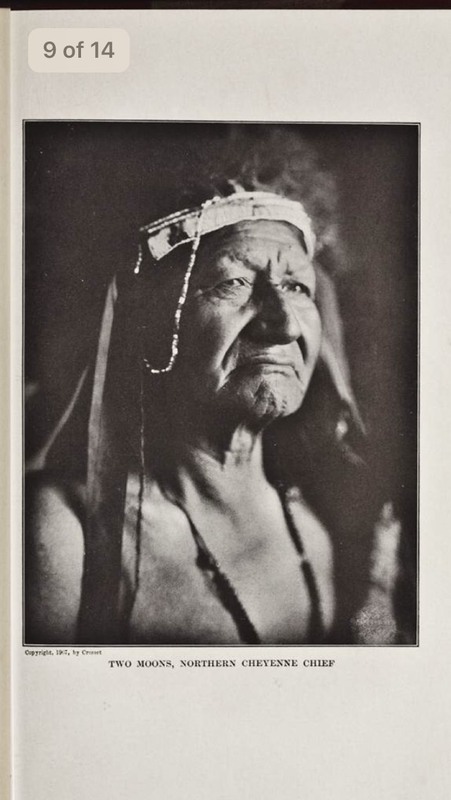 Medicine men in some tribes were highly regarded as people with supernatural healing powers. Another significant part of some of the Native American cultures was the Medicine Dances or Medicine Bundle Ritual like that of the Blackfoot. The Medicine Bundle Ritual was also accositated with the sacred medicine bundle. Remington’s work may not be accurate for interpreting the cultural significance of the medicine men, however it is not unimportant. It still provides information about how the Europeans and explores viewed the Native American culture. This relates to Nettl’s studies, and even some of Densmore’s work regarding ethnography. Nettl emphasizes the importance of the method in which a culture should be “studied.” Much of a perception is based on the understanding of a culture. Nettl focused much of his time immersing himself and participating in a culture, not simply observing it from afar. His approach to the study of a culture is very important when attempting to represent a different culture. “Frederic Remington.” Columbia Electronic Encyclopedia, 6Th Edition (March 2017): 1. Academic Search Premier, EBSCOhost (accessed September 21, 2017). Lucas, Joseph S. “Civilization or Extinction: Citizens and Indians in the Early United States.” Journal Of The Historical Society 6, no. 2 (June 2006): 235-250. Academic Search Premier, EBSCOhost (accessed September 23, 2017). Remington, Frederic. 1897. Drawings by Frederic [[Remington]]. Available through: Adam Matthew, Marlborough, American West, http://www.americanwest.amdigital.co.uk/Documents/Details/Graff_3457 [Accessed September 21, 2017].